Superman is smiling? Aquaman is smiling? The Flash is smiling? Wonder Woman is smiling? Could this be the dark and gritty 'Justice League' movie I've been hearing about? It sure is and this final trailer offers new footage, more dialogue, and action galore. Yes, for those asking "Where is Superman?" he, or rather his alter ego Clark Kent (Henry Cavill), makes a brief appearance in a Lois Lane (Amy Adams) dream. Cue the music, a cover of David Bowie’s “Heroes,” and a montage of amazing sequences with a better look at the villain Steppenwolf and his army of parademons. 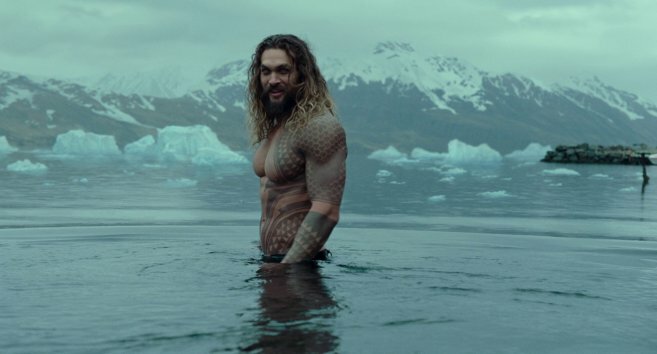 Aquaman (Jason Momoa) seems down for whatever once Bruce Wayne (Ben Affleck) convinces him to join the team and he seems to be enjoying himself the most battling parademons. Wonder Woman (Gal Gadot) has her hands full with bank robbers then Steppenwolf and his mighty ax. 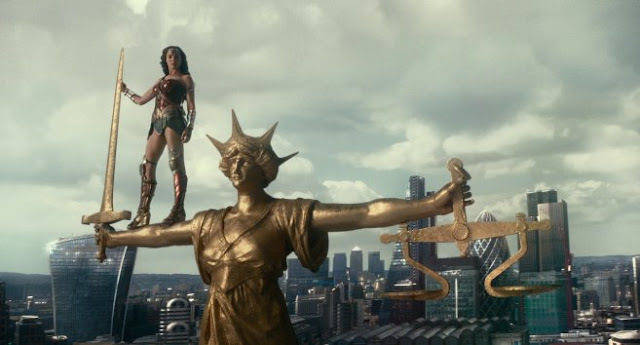 At some point, the Amazons are involved in a great battle. Cyborg (Ray Fisher) looks to be more vital to the story with his connection to the mother box that Steppenwolf is determined to find. But not surprising it's The Flash (Ezra Miller) that seems poised to steal the movie with a very funny performance. So far the trailers show a Barry Allen in awe of his fellow Justice Leaguers and the trailer shows his excitement at seeing the Bat-Signal in the sky. 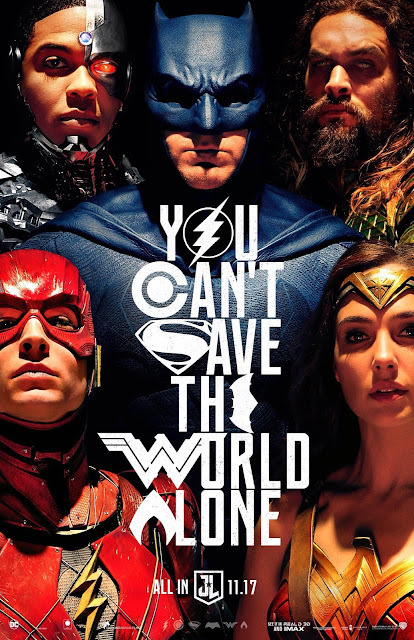 Opening Nov. 17, Justice League also stars Willem Dafoe as Vulko, Jesse Eisenberg as Lex Luthor, Jeremy Irons as Alfred Pennyworth, Diane Lane as Martha Kent, Connie Nielsen as Queen Hippolyta, Amber Heard as Mera and J.K. Simmons as Commissioner Gordon.